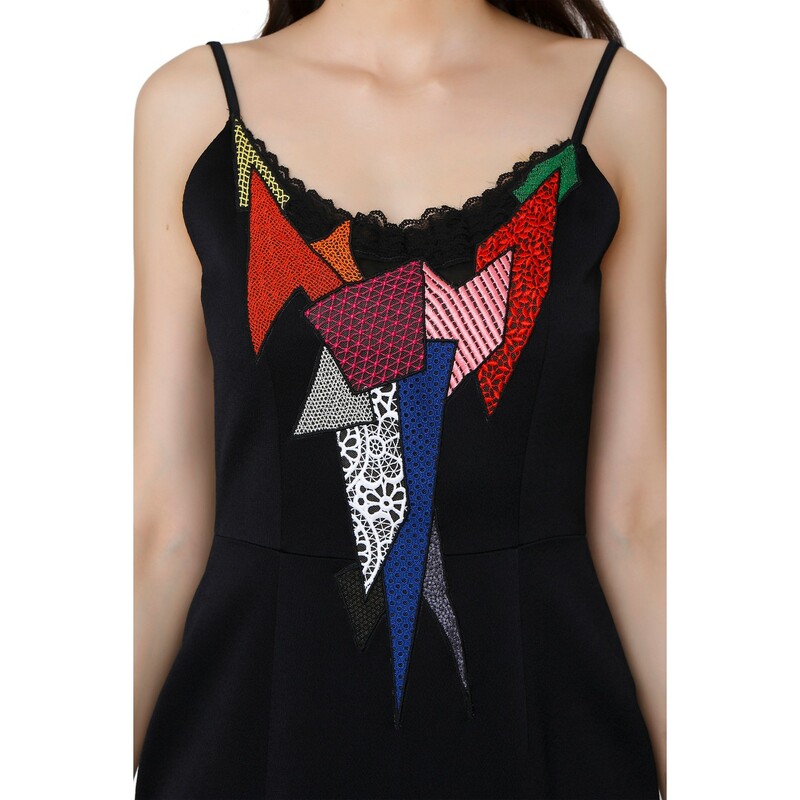 This textured satin Christopher Kane dress features a fitted silhouette with a multicolor patchwork appliqué bodice, tank straps, and a slit front skirt. LabelCentric is not affiliated with Christopher Kane. 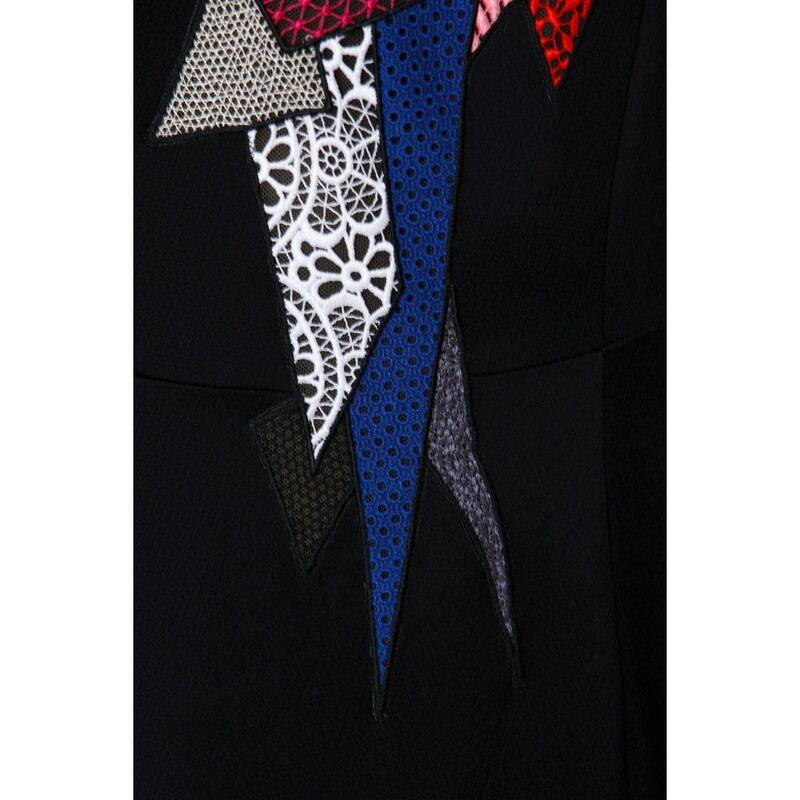 We guarantee this Christopher Kane item to be authentic ( find out how ). Christopher Kane® is a registered trademark of Christopher Kane.